What better way to start out a cold winter morning, than with a cup of delicious Bho-ja. It’s warming, it’s comforting, and I love its distinct aroma. We make bho-ja regularly in our home for my son who just loves it. 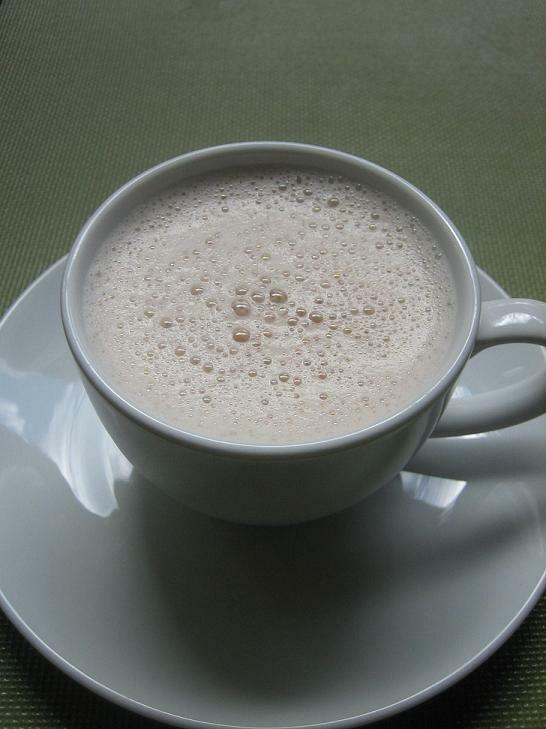 Luckily for me, my husband had the brilliant idea to use a little handheld milk frother instead of the huge blender for a single cup of tea – this really worked well and also made it really easy for us to make a cup of bho-ja without too much fuss. If allowed, I think our son could happily empty out a whole thermos full of bho-ja (but that might be a little too much caffeine for him!). Still, it is nice to see a third generation Tibetan in exile, growing up in America, happily keeping up his people’s notorious tradition of drinking salty butter tea. Bring the water to a boil, add tea leaves and let simmer (about 10-15 minutes) until the tea is a dark amber color. 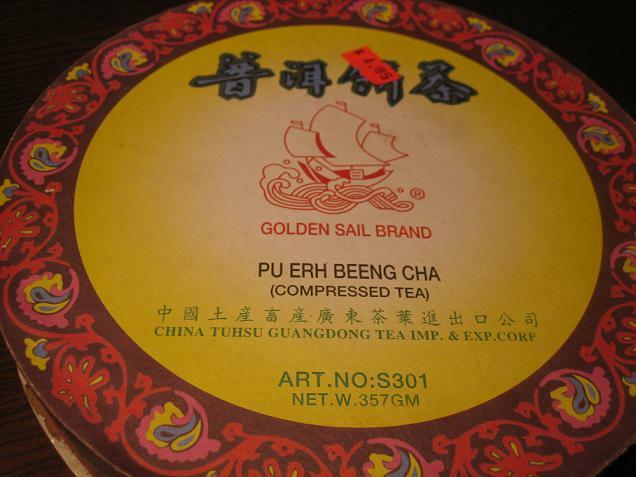 Unlike regular tea leaves, the full flavor of this type of compressed tea is brought out only after a good boiling. Strain the tea, add warm milk, salt, butter and then you churn it. Churning can be done using a blender – I use a hand held one, but a milk frother also works well. A time saving trick is to brew a concentrated black tea, and then you can skip the first step, just add hot water to the concentrate, along with milk, salt, butter – a quick swift blend and your tea is ready. Thank you! 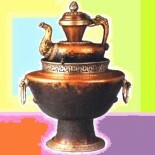 I’ve been looking around for an authentic or close to butter tea recipe. I love the Tibetan culture and am thrilled to have discovered your blog. This entry was posted on December 7, 2010 by simplytibetan in Recipes and tagged bho-ja, bhoeja.